Hair color fades due to sun exposure and the passage of time, which is why it’s best to stay inside the blanket fort you made when you were 8. Get color that stands up to the elements with this Groupon. What is Steam Activated Pro-Keratin Hair Straightening? Steam is the essential element that defines the form of the hair and has the power to cut weak links inside the hair fibre. That makes it soft and re-shapable. That’s the advantage of the Steam Activated Pro-Keratin treatment. It penetrates into the hair with steam.Trapped between the floating plates, the hair gets “re-programmed” for the straightening process. The heat of the plates dries the hair as the water vaporises and the links inside the hair are restored. 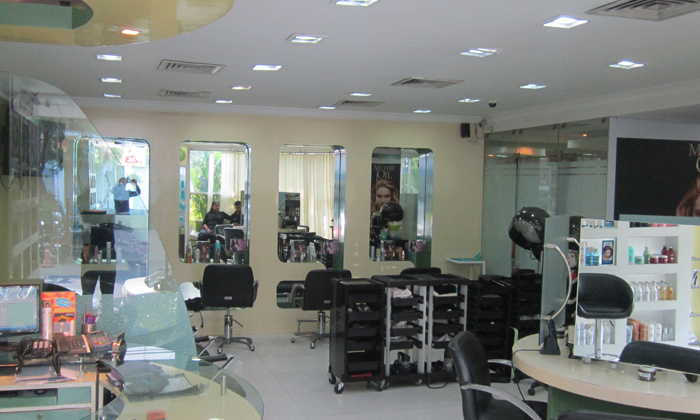 Head Turners is a unisex salon that offers a range of beauty services. Making use of the nest quality products, the beauticians here offer personalized service to ensure the customer is satisfied with their look. Starting from Haircuts, Facial, Body Massage to Hair Treatments, they have it all. They also bagged Color Trophy - 2nd Runner up prize in 2007. The interiors are soothing with its plush decor which rejuvenates your senses and helps you drive away stress from the day.